Disney's live-action Beauty and the Beast remake opens in four months, and we've at last been given a look at one of its title stars. 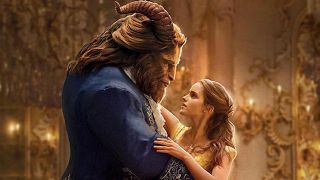 Earlier this year a brief teaser and snaps showed us Emma Watson's Belle - but what is the beauty without her beast? Harking back to the animated film's legendary ballroom scene, it's a great reminder of all that we love about the story. You're not alone if the mere sight of these two makes you a little misty-eyed. Update: Entertainment Weekly has shared another eight images from the upcoming film. Check out Gaston! Belle's flowing gown is glorious. Stevens get-up as the beast is also pretty dang impressive. Is it entirely CGI or partially mo-capped with Stevens? Looks like a mix of the two. We already saw the actor as the Prince - prior to his beastly transformation - in a series of set photos. How he will metamorphose is another matter entirely. Hopefully it's a surprise that will be kept under wraps until the movie opens, and not revealed in the trailer expected to arrive in the next couple of weeks.